Devon has long been the most popular holiday county in the land, and it is a pleasant drive south-westwards to arrive there during the afternoon of the first day of the holiday. 4 nights dinner, bed and breakfast plus entertainment at the hotel. We go to Plymouth, a city with a great naval history stretching back to the time of Sir Francis Drake. Important sights range from the Hoe to the Barbican Steps and a very modern shopping centre. Following our stop in the city we will drive round the beautiful Tamar Valley as well. Choose from 3 of Devons most popular all year round resorts. Torquay, with its lively harbour area and palm-lined promenades: Babbacombe, with spectacular coastal views across Lyme Bay, and Torbay from its level cliff top roads. Paignton, with all of its attractions on level ground, wide beach and well maintained parks and gardens. 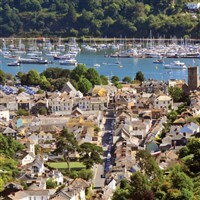 And see the best of South Devon on the excursions, some of which were changed last year. 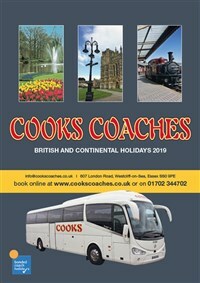 As they proved popular, they have been retained for 2019. MARINE HOTEL, PAIGNTON http://www.marinehotelpaignton.co.uk/. Airy, modern, light and very comfortable, the Marine Hotel is on the seafront and close to the town centre. Bedrooms have all the usual facilities and are served by a lift. There is a pleasant private garden. Regular entertainment. The hotel claims that after just one visit it will become your second home.